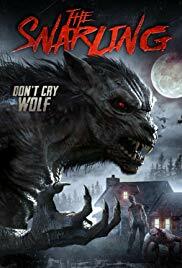 Very cheap and very, very silly Brit werewolf film made by a team who will not let budgetary constraints stop them from throwing every single daft joke they can think of at the screen and hoping some of them stick. Which, pleasingly, they do. Well, some of them. Watch it with the mindset that it's made by some people who are great fans of werewolf films (American Werewolf in London gets some BIG nods including a cast member or two) and know that it's taking nothing seriously, and you'll possibly enjoy it as much as we did. Nice one, cheapy film people!